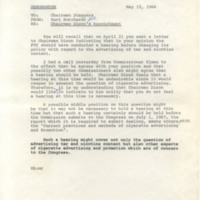 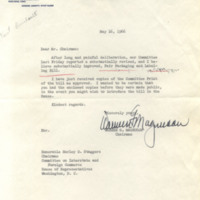 Representative Harley O. 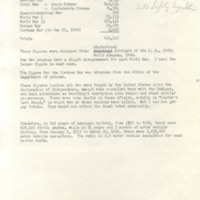 Staggers used this document to compare the number of battle deaths in United States history to the number of motor vehicle accidents that had occurred in the past fifty years. 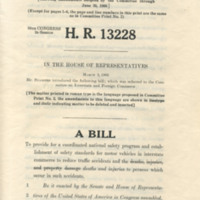 This document is an early cosponsors list of all House and Senate members for the Bill to establish a National Traffic Safety Agency. 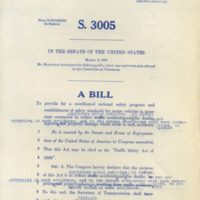 This mark up includes the printed text of S. 3005 and the annotations and edits made by the members of Congress who reviewed the text. 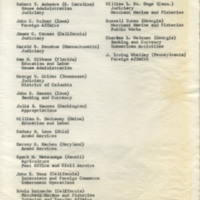 This committee print of H.R. 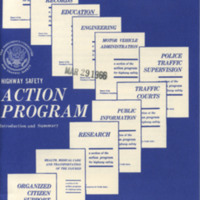 13228, the National Traffic and Motor Vehicle Safety Act of 1966, also includes sections that have been struck out. 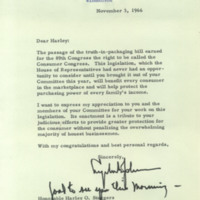 In this statement, Representative Harley O. 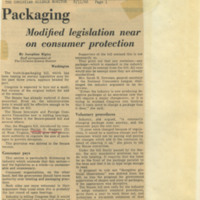 Staggers (D-WV) explains that the purpose of the Truth in Packaging legislation, H.R. 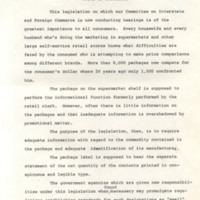 15440, is to reduce confusion at the market place and facilitate easier price comparisons.